A 3rd generation, low cost, DVB-T2, high performance, high definition, MPEG-4 & HEVC STB, with various embedded Conditional Access security. 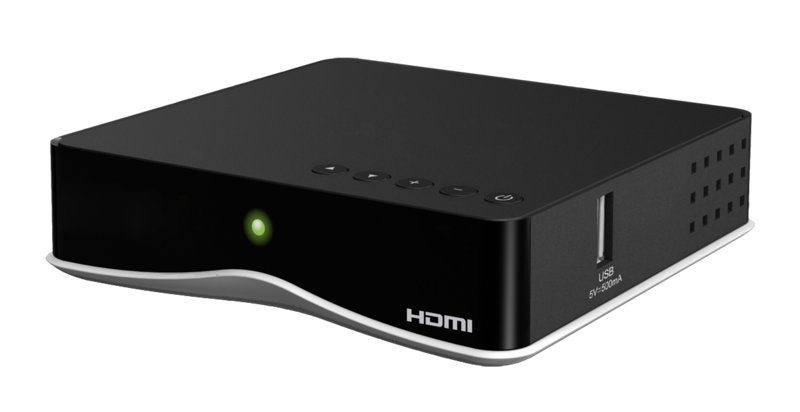 Powered by the 2000 DMIPS Integrated Processor, 256MB DDR3 and 16MB NOR or 128MB NAND Flash, the unit provides analogue video (CVBS, L+R Audio), HDMI 1.4, USB 2.0 and S/PDIF. EKT uses a Dutch design house for its industrial designs and the DTN7414 is displayed in the beautifully styled “Nano illuminati” housing, which features 5 buttons, optional 7-Segment display. Further housing options are available.